The need for good oral hygiene cannot be overemphasized to prevent cavity and other dental conditions. Sometimes we ignore the basic rules of oral health, and these things happen eventually. The question is, "should a cavity be considered a dental emergency?" While your teeth may perform well and appear okay now, regular dental care is necessary to retain that state. Moreover, you should know that painlessness does not prove the absence of a cavity. You can go on for months without feeling tooth pain, and still have a cavity that has formed. If you go for regular dental checkups and cleaning, the dentist will be able to discover cavities before the symptom starts. These visits will enable them to fill the holes before it becomes a dental emergency. The cavity seems small, is it really a big deal? While the situation may seem minor now, it could worsen into intense, excruciating pain in the middle of the night, leading to a costly dental emergency. Cavities reduce teeth strength and may cause teeth breakage. Regardless of how careful you are while eating, grinding your teeth while sleeping can fracture your teeth. Teeth fracture or breakage is more painful and usually more expensive to treat than a minor cavity. Sometimes the cavity may start with mild tooth pain and applying over-the-counter toothache gel may seem like the best choice, but it is not. The gel only alleviates the symptoms without treating the underlying condition. They should never be used as an alternative to dental care. 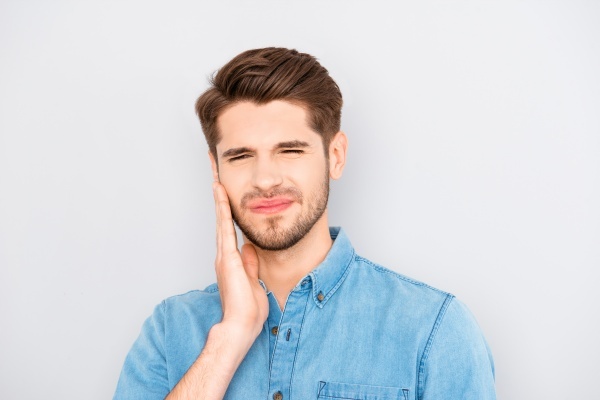 Managing the pain yourself can cause complications like an abscess, which can cause significant damage to the teeth, gum, and surrounding bone. A root canal treatment is necessary to correct abscess, followed by dental crown or fillings, else the tooth might fall out entirely. If you need root canal procedure or tooth extraction, you may end spending lots of money compared to treating cavity immediately. What if the ache stops? Never take any change in your oral cavity for granted if you want to avoid dental emergencies. The results can be very costly. We are always ready to help with your cavity issues! Cavities do not necessarily have to become dental emergencies if treated in time. Delays could result in fractures, abscesses or even tooth loss. You may think getting immediate treatment is costly, but think of how much more it would be if the condition worsens. Request an appointment in our Chandler dentist office here: https://impressionsdental.com.